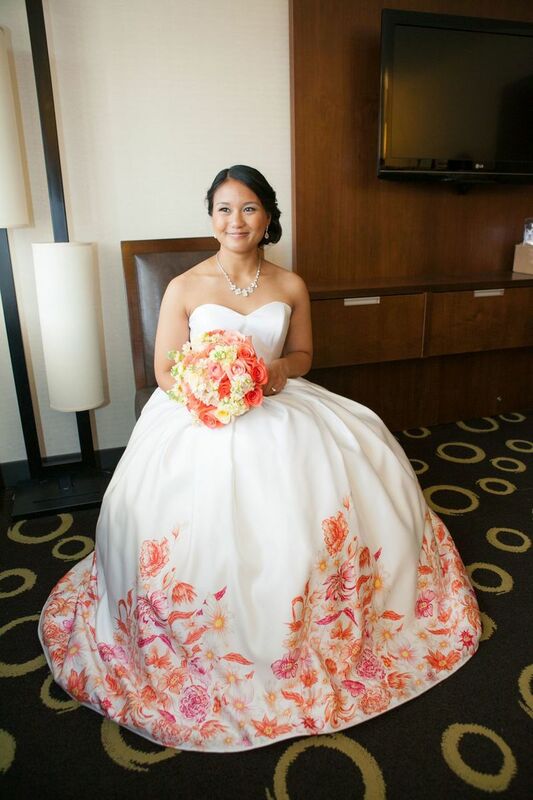 One of a kind custom floral print Wedding Dress from WeddingDressFantasy. Entire gown is based in Soft Bridal Satin. Bodice features a sweetheart neckline with a beautiful fit through the natural waist. Skirt flairs out into a mini ballgown with the most incredible floral print design. This gown is truly sensational and will have your guests talking for months.